CMS or Content Management Systems is a very efficient tool to keep up and manage websites and the content thereof. But how well a CMS caters to your requirements depends a great deal on your choice of the same. There are so many available, all with different features, it can be difficult to decide which is the best solution for a particular web project. For simple sites, lots of bells and whistles can be overkill and actually be a bit confusing for the person maintaining the website. In this article, you’ll find 10+ Simple and Lightweight but Powerful and Free Content Management Systems that may not garner as much attention as their more popular counterparts – but should. SkyBlueCanvas Lightweight CMS is an open source, free content management system written in php and built specifically for small web sites. The entire site you are viewing is a demonstration of the SkyBlueCanvas lightweight CMS. SkyBlueCanvas is custom-built for those instances when more robust systems like Joomla, WordPress and Drupal are too much horsepower. GetSimple is an open source CMS that utilizes the speed and convenience of XML, a best-in-class UI and the easiest learning curve of any simple Content Management System out there. Symphony is a CMS that uses XML/XSLT as its templating language. Symphony lets you customize anything you like, from the website’s URL structure to your publishing environment. For a non programmer, this CMS might be complicated to learn. Radiant is a no-fluff, open source content management system designed for small teams. It is similar to Textpattern or MovableType, but is a general purpose content management system (not just a blogging engine). Wolf CMS simplifies content management by offering an elegant user interface, flexible templating per page, simple user management and permissions, as well as the tools necessary for file management. Wolf CMS is a fork of Frog CMS, which was itself a PHP migration of the Ruby-on-Rails app, Radiant CMS. Wolf is now forging its own development path, although a family resemblance with these two systems can still be seen. Wolf requires PHP5, a MySQL database or SQLite 3 with PDO, and a web server (Apache with mod_rewrite is highly recommended). It is distributed under the GNU General Public License version 3. 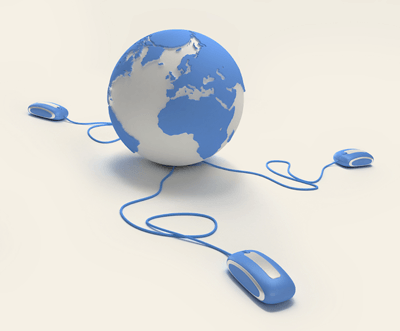 LotusCMS is a state-of-the-art, easy to use, flat-file / Databaseless Content Management System. It brings to the forefront design and design integration into one of the most neglected CMS nichés – Databaseless Web-Design and Development. LotusCMS is Free and more than free, it is licensed under the General Public Licence under which you may copy, change and redistribute this software to suit Your needs! From a simple brochure site to a complex portal, CMS Made Simple puts the power of a modular and extendable content management system at your fingertips. And best of all, it’s free! sNews is a completely free, standards compliant, PHP and MySQL driven Content Management System. sNews is extremely lightweight, simple and customizable. It’s easy to install, and easy to use via a simple web interface. sNews consists of only one core engine file, one independent template file and its accompanying CSS style sheet file, plus an .htaccess file that makes all URLs search engine friendly. Zimplit is the easiest CMS (Content Management System) ever made. Zimplit is extremely lightweight, simple and customizable. It’s easy to install, and easy to use via a simple web interface. Zimplit consists of only one core engine file. And of course – it’s FREE. 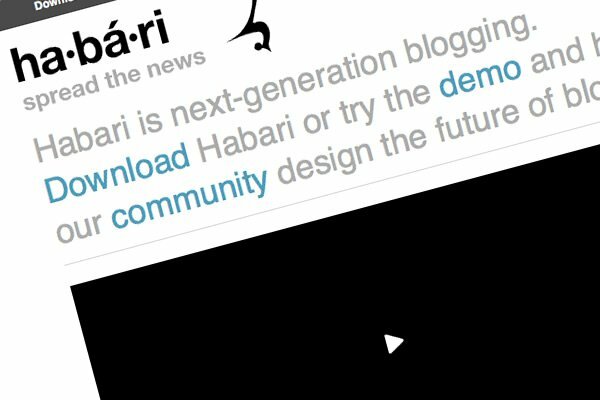 Habari is a free and open source blog engine written in PHP and now supports MySQL and SQLite – and PostgreSQL planned – for the database backend. It gets its name from the Swahili greeting habari, which means “(what’s the) news”. Simple Open-Source CMS for designers. No knowledge of PHP required at all. Take any HTML/CSS template and make it CMS enabled in minutes. Just drop in a few special XHTML tags into your code and watch your static web pages come to life! Anchor is a super-simple, lightweight blog system, made to let you just write. If you using or like Jekyll, you’re interesting with Anchor CMS. There’s a large amount of content management systems out there, so if your favorite isn’t on here, share it with us in the comments. CouchCMS (http://www.couchcms.com) is yet another simple and light-weight CMS out there. It is designed specifically for web designers and requires no knowledge of any programming language. phpwarmsky is another lightweight cms. it has only the features that you want and nothing more. it is free and open source. 40 plus modules and 10 themes. fast install and uses a mysql database. it is very large for a lightweight cms. But besides the advantages of convenience, free use, do not forget about security. Why open source cms is always not good. I check out desamaru cms too but it cost money. Can anyone suggest light weight cms like desamaru. Thanks for replay! I think Desamaru has reduced their price to $5. You should check it out. Yes, but with $5 I think it’s worth to pay. Thanks for the suggestions. I installed Symphony CMS. Just googling HTMLy. You can use HTMLy with no cost. Theo CMS is brand new (theocms.com) – ultra light, crazy fast and tons of features!